A customer is the most important visitor on our premises. He is not dependent on us. We are dependent on him. He is not an interruption in our work - he is the purpose of it. We are not doing him a favour by serving him. He is doing us a favour by giving us the opportunity to serve him. Forget about the worries of how to get from exotic location to location, that's what we'll take care of. For you, it's about discovering everything in between. See the magic in the world with an intrepid experience. Bluedale Tours offers a series of professional travel services aiming at creating ever-lasting memories of all over India. We specialize in India tours. India is an exciting holiday destination for young and old! 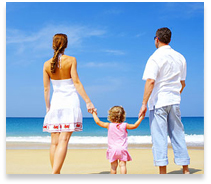 Our family holidays cater for parents with young adults and children. All excursions on our family holidays to Kerala or other part of India have been carefully planned, transport is comfortable and clean and hotels have been specifically chosen for their family friendly facilities. We also have the facilities of swimming pool, ensuring kids and teens are kept entertained during free time and allowing parents and guardians time to relax. Ayurveda is a Hindu system of traditional medicine native to India and a form of alternative medicine. The earliest literature on Indian medical practice appeared during the Vedic period in India i.e., in the mid-second millennium BCE. The Sushruta Samhita and the Charaka Samhita, encyclopedias of medicine compiled from various sources from the mid-first millennium BCE to about 500 CE, are among the foundational works of Ayurveda. Over the following centuries, ayurvedic practitioners developed a number of medicinal preparations and surgical procedures for the treatment of various ailments. Current practices derived (or reportedly derived) from Ayurvedic medicines are regarded as part of complementary and alternative medicine. Hinduism and Buddhism have been an influence on the development of many of ayurveda's central ideas - particularly its fascination with balance, known in Buddhism as Madhyathmaka. Balance is emphasized; suppressing natural urges is seen to be unhealthy, and doing so claimed to lead to illness. Ayurvedic practitioners approach diagnosis by using all five senses. Hearing is used to observe the condition of breathing and speech. The study of the lethal points or marman marma is of special importance.Ayurvedic doctors regard physical and mental existence together with personality as a unit, each element having the capacity to influence the others. Ayurveda stresses the use of plant-based medicines and treatments. Hundreds of plant- based medicines are employed, including cardamom and cinnamon. Some animal products may also be used, for example milk, bones, and gallstones. In addition, fats are used both for consumption and for external use. Minerals, including sulfur, arsenic, lead, copper sulfate and gold are also consumed as prescribed.This practice of adding minerals to herbal medicine is known as rasa shastra. 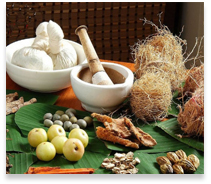 Many special treatments prescribed in the ancient medical classics for some of the most distressing diseases are currently practiced only in Kerala, a state in the southern part of India. We guarantee a professional and accessible medical treatment by leading Baltic physicians at very reasonable cost, stay in a well-equipped and modern clinic, no waiting lists, full-service care from airport to airport. 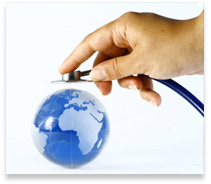 We realize it is not every day that you travel to a foreign country for medical care, so we offer a comprehensive medical tourism program to meet your specific medical travel needs. Heritage tourism involves visiting historical places in India. Being one of the oldest cultures in the world, India is rich in culture and heritage. This fact is observable in plenty of monuments, their ruins, buildings, temples, forts, palaces, tombs and caves all across India. This also makes India an enticing historic travel destination. We present to you some of the most remarkable monuments and historical places! 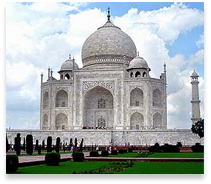 Historic Tour can be all over India or it can be either in East, West, South, North part of India. Helicopter tours offer a exclusive Kerala experience through picture perfect travel and intricate to access destinations have been brought to within easy reach. 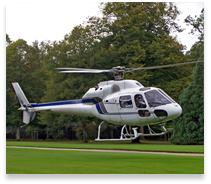 Helicopter tourism adds new dimension to Kerala Travel sector. 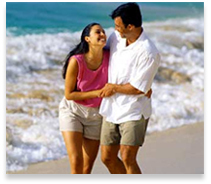 By availing the services, tourist can fly to different tourist spots. It will start operations from Kochi International Airport. The main advantage is Sky tourism would drastically cut down travel time and significantly enhance convenience to unreachable tourist spots. Home stay is a structure of tourism and Experience the hospitality of the host family and the unique feeling imparted while staying in a home and interacting with people of a different culture. The cross section represented here are carefully chosen and recognized home stays that will go the extra leg to make your trip a pleasant memorable experience. Home stay scenarios can range from a completely immersive family experience, to a very basic room rental. Those who have uninterested staying in star hotels, can opt to stay in Home Stay facilities, which will give enjoyable stay in a natural approach. We have the rooms with A/C, Non A/c rooms available. We offer food, vehicles to travel with driver etc. 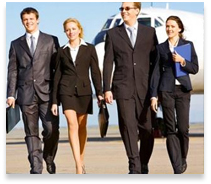 We can also take care of your business travel arrangements, providing meeting facilities, corporate meetings etc. We have multiple choices of tours according to suitable climate, which can suit East, West, South and North of India. Kerala is an important International and Internal tourist destination: The backwaters, beac hes, Ayurvedic Tourism, and Tropical greenery are among its major attractions. National Ge ographic's Traveler magazine named Kerala as one of the "ten paradises of the world" and "50 must-see destinations of a lifetime"; Travel + Leisure listed it as "one of the 100 great trips for the 21st century". India, with diversity shaped by breathtaking natural scenery and time-honored history, has soared in popularity among the many vacation destinations of the World. From the North to the South and the East to the West, India will never fail to provide a feast for any traveler's eyes. The history evident in the magnificent natural beauties, the colorful night views, the civilization revealed at the museums, the tranquility of the gently flowing stream, rivers, backwater etc. Employing experienced local tour guides and escorts and developing a service and accommodation network to provide the safest and most comfortable tours. Within the short time of professional service has earned us a strong reputation for our knowledge, experience, efficiency and integrity. We understand that customers are everything so that their vacation should not end on the day their bags are unpacked. Experience lasts a lifetime, and we hope this will be so for each of our clients. Explore Incredible India with BLUEDALE Tours, your forever "Holiday Partner" for "Exclusive tour to Exotic location"